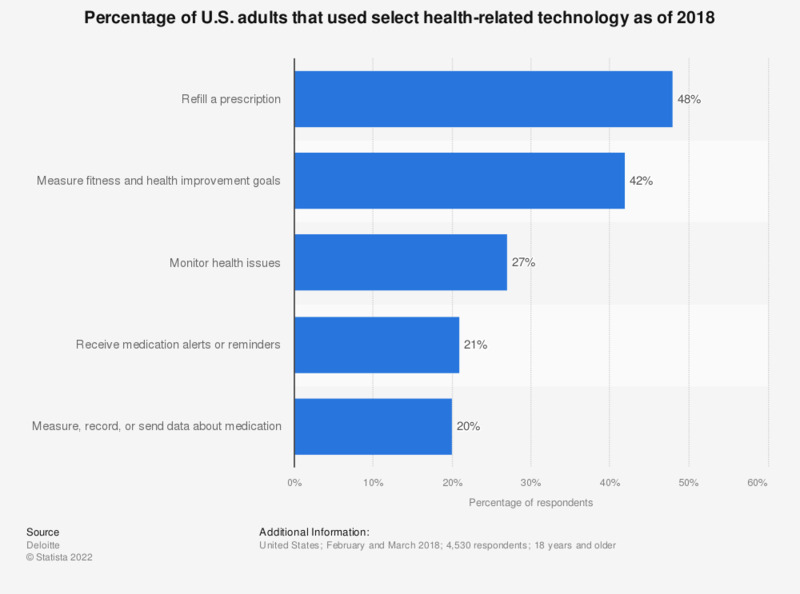 This statistic depicts the percentage of U.S. adults that used select health-related technologies in 2018. According to the survey, 48 percent of respondents used a health-related technology to refill a prescription. Original question: "In the last 12 months, have you used any technologies (e.g., websites, smartphone/tablet apps, digital assistants, personal media devices, or fitness monitors) for any of the following health purposes?"